Thomas Edison said, “Opportunity is missed by most people because it is dressed in overalls and looks like work”. The true legends make what they do look easy. But if you saw them from the start and followed what they actually did to get to that level, you wouldn’t be surprised at all. You can’t win a race if you sit in cruise control for the majority. Car or motorbike racers hit corners and have to slow down. But do they stay at that slow speed? Nope, as soon as they’re past that point they speed up again. Oftentimes it’s right when they’re facing that obstacle that the best drivers will overtake their opponents. It’s those little moments that usually determine who will win and who will lose. 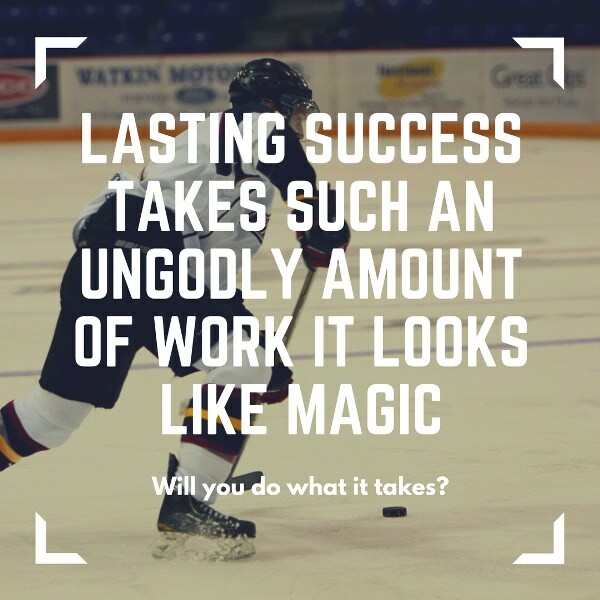 True, lasting success takes such an ungodly amount of work that to the observer, it looks like magic. I love reading biographies of the greatest-in-their-field, particularly to pickup what got them to that point. There is usually some element of “luck” in there, but it only ever comes after they have put in the work to be able to take advantage of that opportunity. Anyone who follows cricket will know of Donald Bradman’s long hours of practice as a kid with the fence picket and the ball. Basketball’s Kobe Bryant was famous for showing up to day 1 of pre-season training every year at nearly 100% game fitness. Warren Buffett is renowned for the amount of relevant information he reads every day. Everyone who follows American football knows that what Tom Brady lacks in the typical physical attributes of a great player in his position, he more than makes up in his dedication to being the best, in all aspects of his life. It is said that when you face him, he has studied you and your team so much that he knows your weaknesses better than you do. Think about what you want to be successful in. What do you need to do to become great in it?